It's time to party at your very own Red Sox hangout! This fully customizable Boston Red Sox Personalized MLB Pub Sign Wall Art decor puts you at this establishment's forefront as the proprietor. This high-quality print looks great inside a sleek black frame and is nestled safely behind glass for long-lasting sports decor. Just let us know what the name of your pub should be and who you want listed as a proprietor — we'll do the rest. 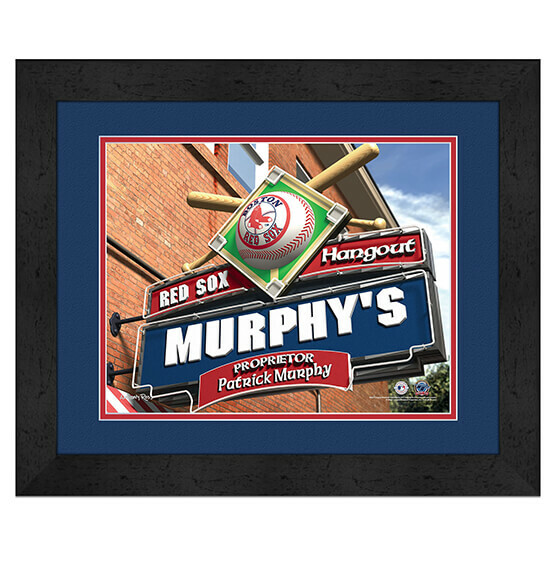 This personalized pub sign makes a fantastic gift for the BoSox fan in your life. Bonus: It comes ready to hang with a convenient sawtooth hanger.